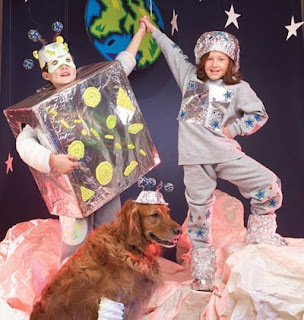 A Halloween costume is the ultimate way for kids to live their fantasies. When I was a kid, I can remember talking about what I wanted to be for months leading up to Halloween. Looking back, I was blessed to have an amazing mom who always sewed/crafted up an amazing costume for me to wear.. And for just one night, I was the princess, pippie longstocking, rainbow brite, etc that I wanted to me. In face when I was little, my cabbage patch always had an outfit to match! I'll try to find and scan some photos to share.. but until them below are some of my favorites that I can across while seraching for Halloween costume ideas.. do you have a costume you remember? or something you always wanted to be? kids are never to young to dress up! how cute right? I love that the dog got to dress up too! The costume should be colorful and easily seen on a dark night. Placing reflective tape on the outfit is a good way for drivers to see them from far away. 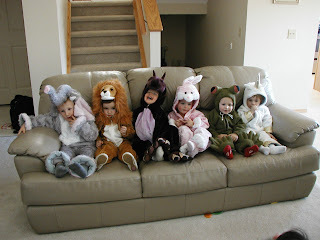 Make sure the child can move easily in the costume, and avoid baggy or long costumes that drag on the ground. 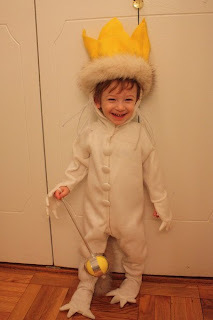 A child can easily trip over a too-big costume. The costume should not be flammable. With so many doorways decorated with lighted jack-o-lanterns, it doesn’t take much for a cape or hem to catch fire. Every outfit should be comfortable. Itchy fabrics, awkward accessories and hot Halloween masks will definitely put a damper on the evening. Don’t let masks, hoods or other costume features obscure the child’s vision. They can’t see to avoid obstacles and, worse, to avoid oncoming cars. 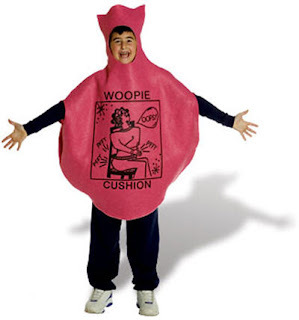 Ensure that the costume doesn’t make bathroom visits awkward or time-consuming. Think of the weather in your area. October can be cold in some parts of the country, and children should be dressed appropriately for being outdoors. Have the child wear comfortable shoes when trick-or-treating.